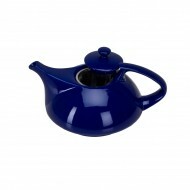 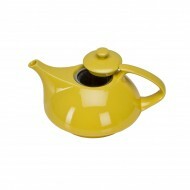 This stoneware teapot has contemporary shape with excellent heat retention. 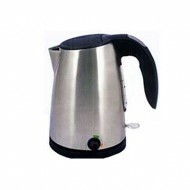 Stainless steel mesh infuser included, it holds 30 ounces. Microwave and dishwasher safe.